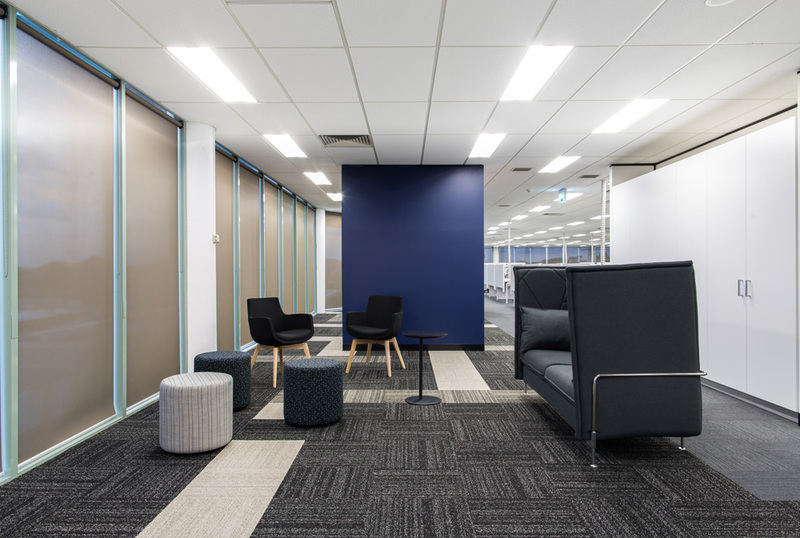 Subdued tones and a minimalist style have been combined to create simple yet stunning offices at United Energy. 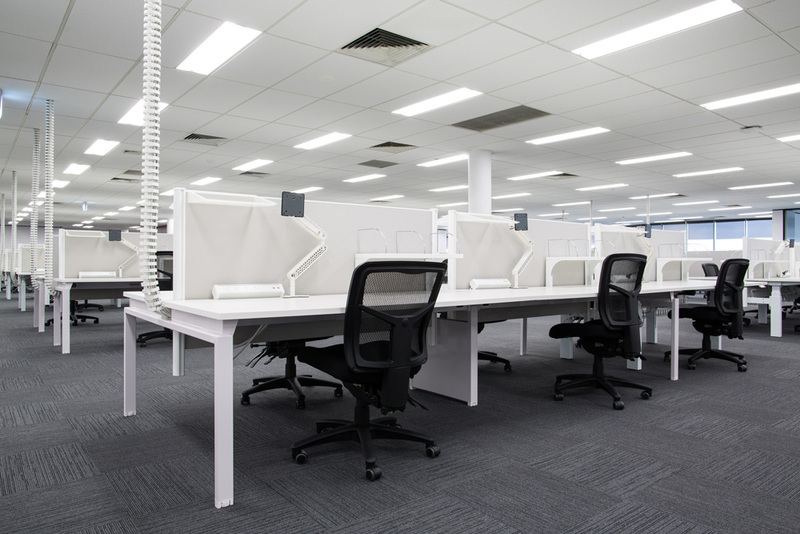 The combination of our Benchwork workstations, Lift S height adjustable desks, Vast desk mounted screens and Flow chairs in the open offices provide a perfectly timeless canvas for all to customize. 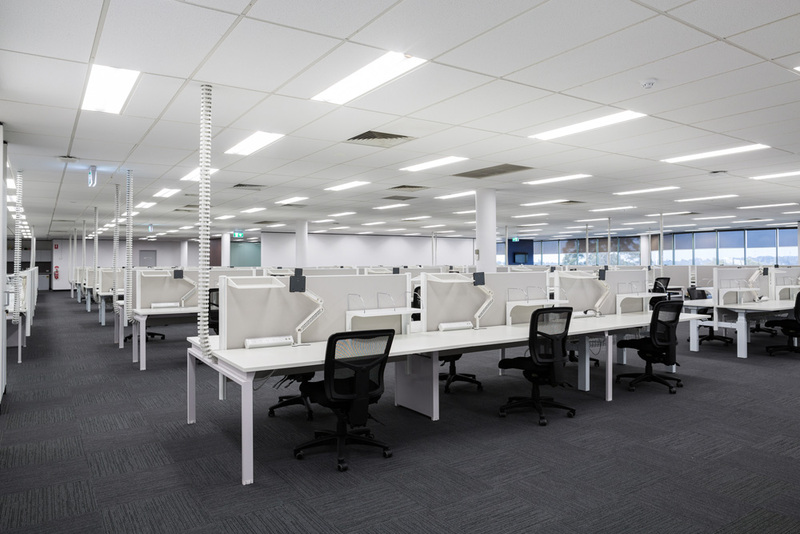 Power cables were cleverly concealed within the Benchwork integrated power beam and ceiling to desk Umbilical Cords. 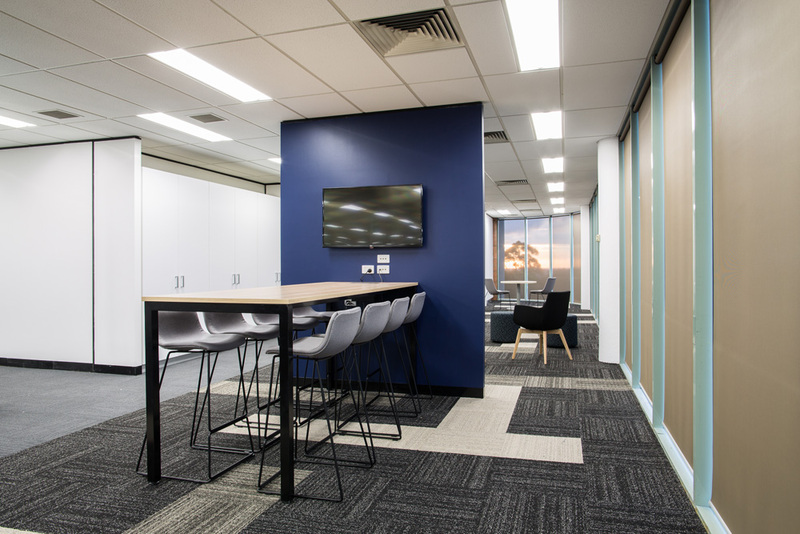 Our Tambour Door Cupboards and Planters have been cleverly used to divide the work space from the lunch area, providing ample storage around the office. 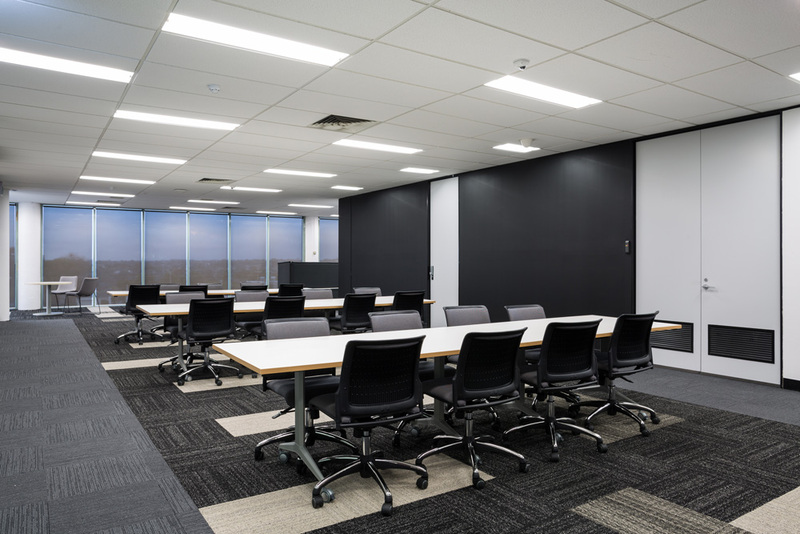 Flip folding tables were paired with Spyder and Spyder Swivel chairs in the various meeting and training areas allowing for extreme flexibility and adaptability. 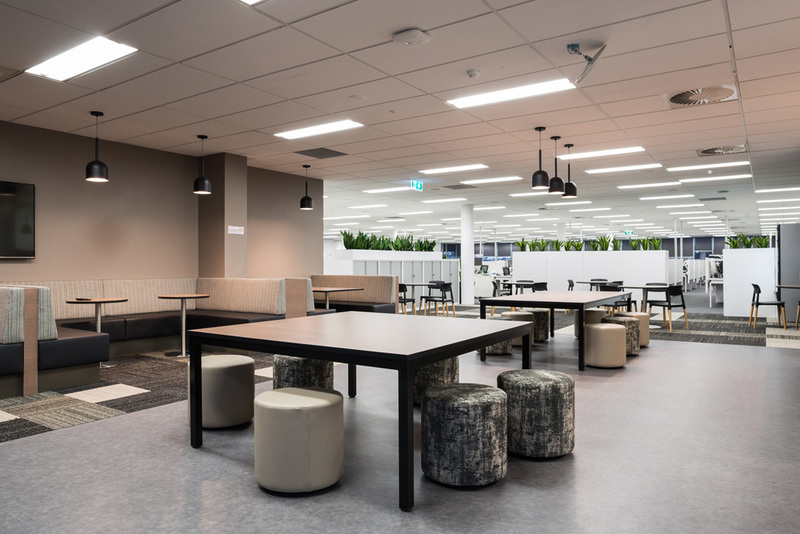 Warm and inviting breakout areas have also been designed mixing woodgrain and earth tone colours featuring our Pac and Zorro stools, Uno tables and counter tables, Cosmopolitan round table, Mim chairs, Bop ottomans and the oh so cosy Hush High Back lounge. 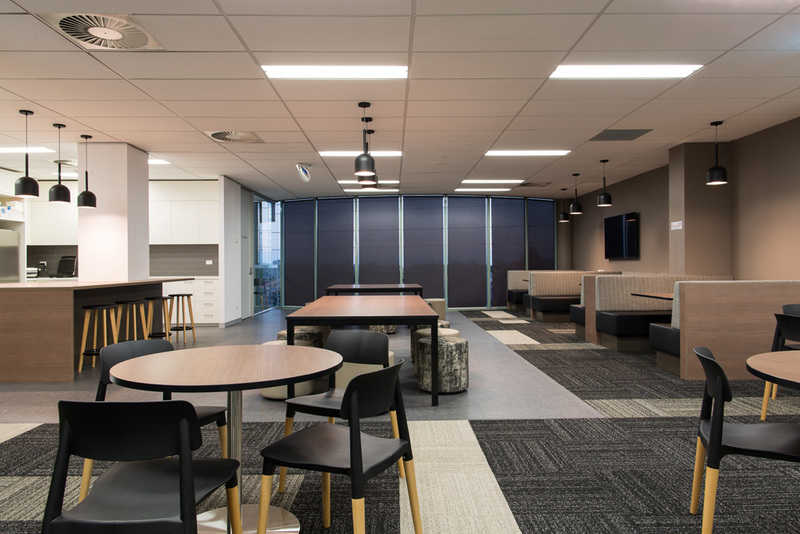 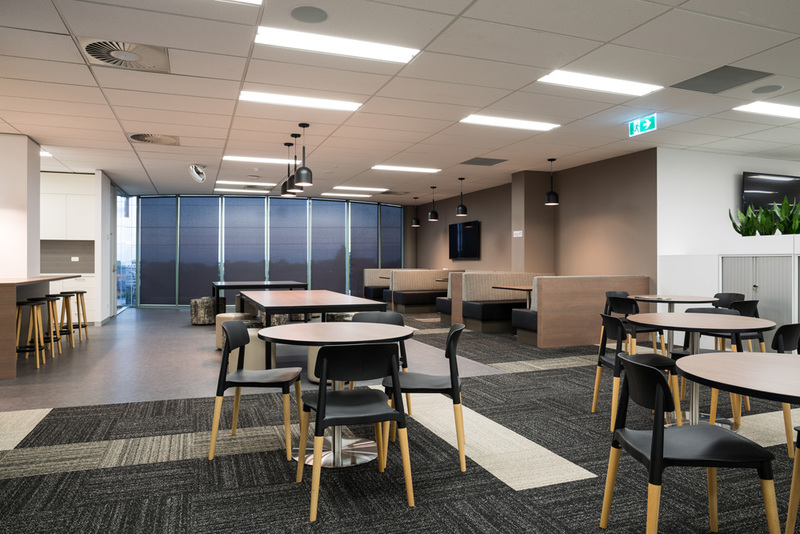 From breakout areas to offices and meeting rooms, nothing has been left out at United Energy. 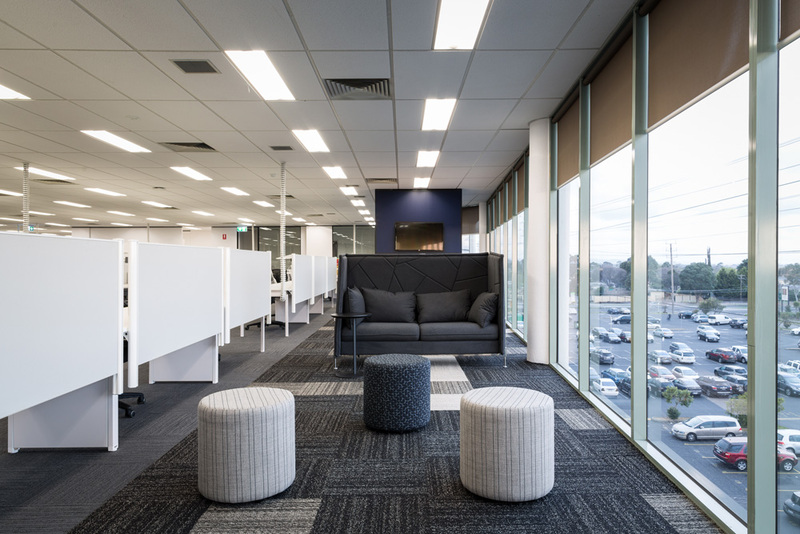 The space has been cleverly furnished to offer a large, practical, modern and inviting workspace.